Best price or it's free! What can a Satellite Radio System do for me? Satellite radio Systems for your car or boat offers some great advantages over any type of current setup with a normal AM/FM radio. Having satellite radio wherever you spend the majority of your time is a great way to listen to music, talk, and sports at your convenience. While it is true that there is a subscription fee for satellite radio, the number of advantages are so valuable that you will gladly pay the minuscule fee for great sounding radio. Your favorite satellite radio programming can be listened to from anywhere in the world. If you have an adapter, it is available to you through satellites that transmit the signals directly to your radio player. Whether this player is in your vehicle, your recreational means of transportation, or at your home, satellite radio will always come in loud and clear no matter your location. If you are the type of person that frequently switches back and forth between channels trying to find some music instead of those long, drawn out commercial breaks, satellite radio offers the advantage of having no commercials on its music channels so you don't have to worry about taking your hands off the steering wheel or getting up to change the radio station. Just find your favorite genre of music, and you are set for hours upon hours of entertainment. The sound quality is also significantly better with satellite radio over the more traditional form of radio. Instead of using radio waves, satellite radio pipes in its radio stations through satellite waves, much the same as the waves that make satellite television possible. Clearer sound and a better overall listening experience are what can be legitimately offered through satellite radio. The sheer number of available channels is also quite amazing. Normal radio may give you 10-20 channels, depending on your location. Satellite radio, however, can provide over 100 channels of different music and talk stations along with special plans so that you can receive every sports game over your radio. The variety that is offered is one of satellite radio's great advantages. Every kind of musical genre that you can think of has its own station dedicated simply to that particular style of music. 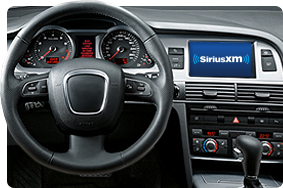 When you add up all of these qualities and all the possible Sirius Satellite Radio Accessories you can add, it is easy to see that the prices that are charged on a monthly basis for satellite radio are minimal compared to all of the benefits that you receive once you are able to enjoy everything that satellite radio has to offer.